As an Excel Cabling Partner (ECP) our engineers and designers are all accredited to the required standards. 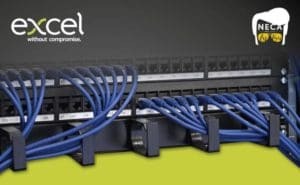 Excel ExpressNet Solution – A flexible solution to installing copper and fibre. For more information on Excel products and solutions click on the image below. If you need a networking infrastructure solution contact us.